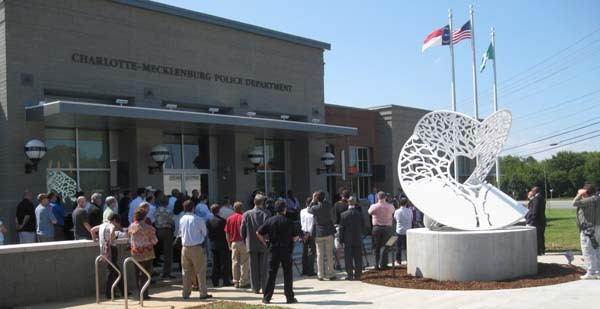 (September 19, 2012) The Charlotte-Mecklenburg Police Department held the Grand Opening for its new Steele Creek Police Station today. 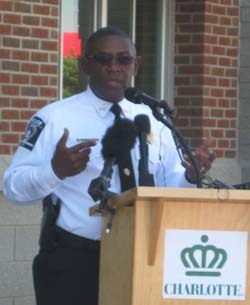 Division Commander Allan Rutledge welcomed the community to the new, 12,000 square-foot facility at the corner of Westinghouse Boulevard and S Tryon St. He said that year-long construction went smoothly -- on budget and on time. 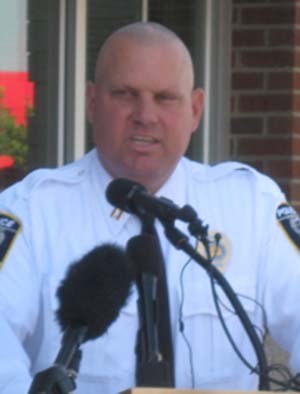 Police Chief Rodney Monroe said that the new station helps fulfill the department's vision to better connect the division offices with their communities by building new stations in central locations and getting them out of warehouses. 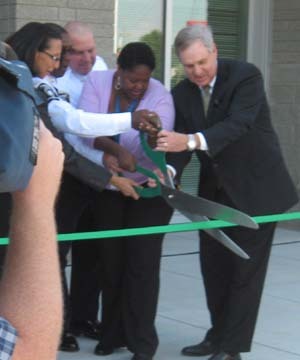 Charlotte City Council Member LaWana Mayfield, who represents Steele Creek and the rest of District 3, said this was totally a "We" project, a constructive partnership for the community. 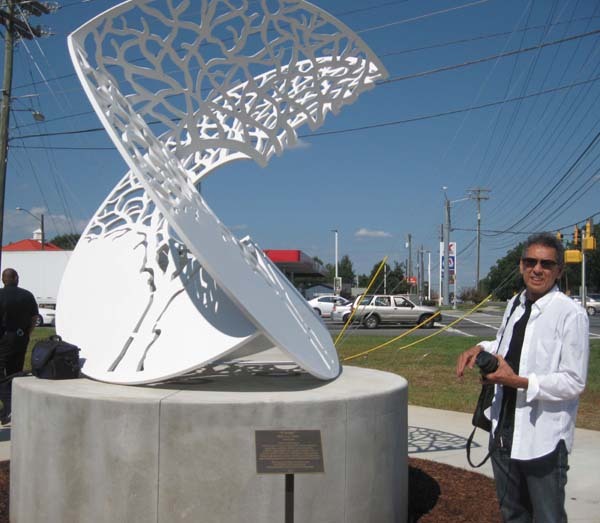 Sabrina Brown, Public Art Commission Chair, presented the sculpture "Canopy" by artist Billy Lee that sits in front of the station. 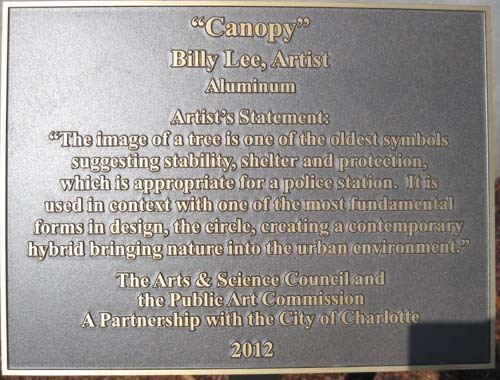 It incorporates a tree, which represents the stability, shelter, and protection provided by the Police Department, and a circle, creating a contemporary hybrid that brings nature into an urban environment. For years, the Steele Creek Division office was hidden at the old Police Academy building behind a big fence and a parking lot. Now the office is sitting at one of the most visible locations in Steele Creek. Patrol officers have been visible throughout the community, but now they won't be going back into hiding when their shifts are over. They truly will be an integral part of the community now that they're in the heart of Steele Creek.